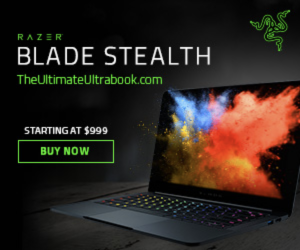 Whether you are looking for a laptop for business, gaming, music production, video or photo editing, there are many reasons to scoop up a 2-in-1 machine. The most important one being the additional functionality and flexibility 2-in-1 PCs offer. But how do you decide which gadget is right for you with so many models available and at different prices? Well, if your budget is under $500, we have rounded up six of the best options on the market today. The ASUS TP401MA-YSO2 is remarkable for its ability to pack so much power despite being quite inexpensive. It is equipped with an intel N4000 processor with speeds of up to 2.6GHz and 4GB of LPDDR4 RAM. As such, the machine is extremely efficient when it comes to daily multi-tasking and even entertainment. On top of that, it flaunts 64GB worth of SSD storage providing you with plenty of room for all your work, photos, videos, and classroom assignments. At 3.3lbs, the PC is very light in weight and boasts a stylish, slim design. This makes it one of the most portable 14-inch 2-in-1 devices around. In addition to this, it has a Full HD NanoEdge display featuring 178 degrees wide-view technology for an enhanced viewing experience. This means that colors and contrast tend to remain vivid even in sharp angles. Guess what else? 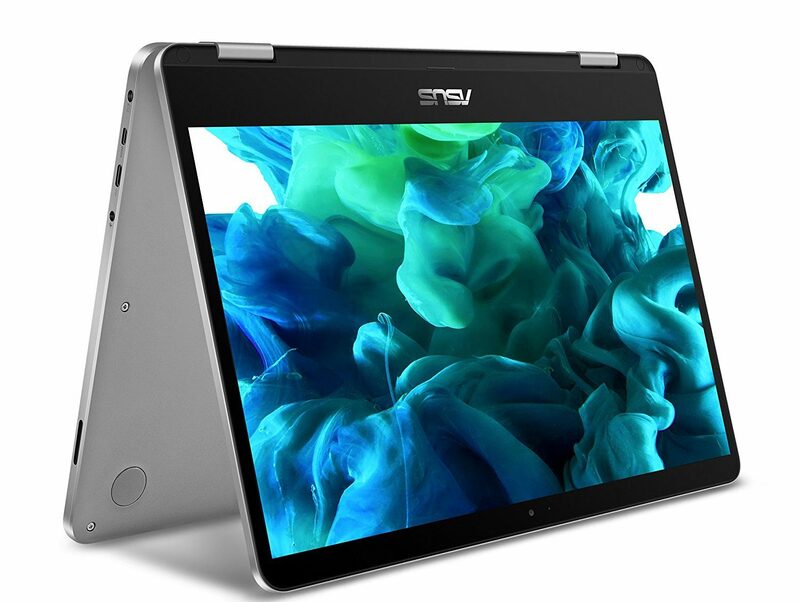 The ASUS TP401MA-YSO2 employs SonicMaster technology to deliver one of the most incredible audio you have probably ever heard on a budget-friendly laptop. It also incorporates tons of ports for unlimited possibilities including a USB 3.1 Type-C port that allows for fast data transfer. Also included are a headphone/audio jack, one micro HDMI port, SD Card Reader and micro USB 2.0 for optimal convenience and compatibility. Additionally, the PC boasts unique fanless design designed to keep noise levels as low as possible especially when it’s at full power. As a result, you can watch movies or conduct your tasks without any distractions. Another outstanding feature of this machine is its powerful battery that utilizes a unique SuperBattery Technology to ensure it lasts three times longer. Therefore, on a full charge, the ASUS VivoBook will last all day. On top of that, it is outfitted with high-precision sensors that are spaced at intervals of 6mm to ensure superior touch experience. Last but not least, it works incredibly well with a Pen stylus included with the purchase. Featuring a powerful graphics card coupled with shared video memory, this IdeaPad from Lenovo offers great image quality making it perfect for casual gaming and basic editing tasks. Similarly, it boasts a 14-inch HD multi-touch display to ensure superior hands-on control. On the flipside, though, it delivers a paltry 768-pixel resolution which is pretty low. 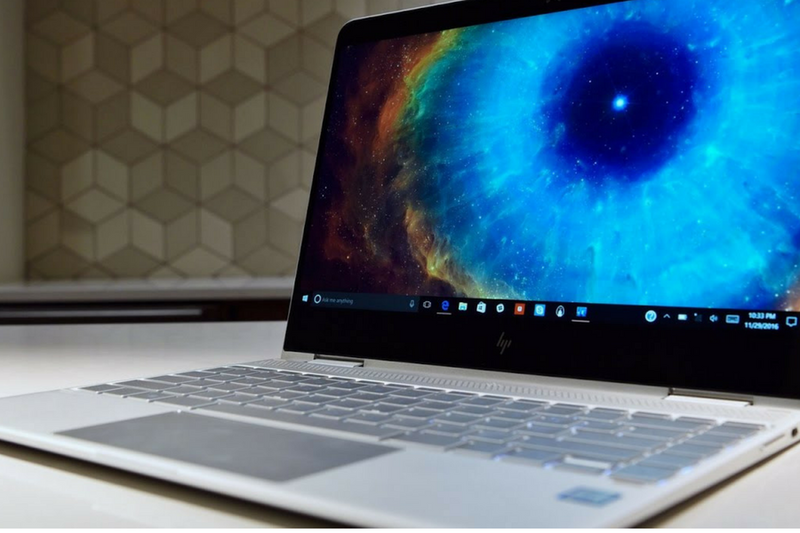 On a positive note, the PC incorporates 4415U Intel Pentium dual-core processor that makes multitasking, internet browsing and performing complex tasks effortlessly. For enhanced performance and smooth running of multiple programs at once, it features 4GB of RAM which is more than sufficient for everyday tasks. And to make the deal even sweeter, the PC packs 500GB of SATA HDD storage that provides you with more than adequate space for your growing collection of videos, photos, and even music. 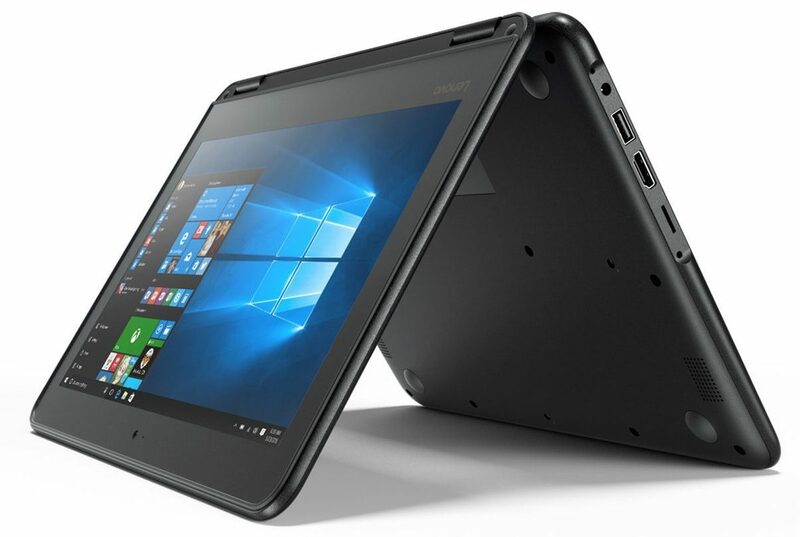 Moving on, the Lenovo IdeaPad includes an inbuilt webcam fitted with two microphones for ease of video chatting with friends, colleagues, and family over Skype or other apps. It also has some nice speakers that make for decent audio quality. In addition to this, it is highly portable thanks to its 0.8-inch ultra-thin profile, small screen size and a small weight of 3.75lbs. As far as connectivity is concerned, this is yet another area this machine does not disappoint. First off, it is equipped with one USB Type-C port that can be used with the latest high-speed devices for maximum performance. It also includes a USB 3.0 port which is reverse-compatible with USB 2.0 devices at 2.0 speeds for fast data transfer. On top of that, the PC comes with an HDMI port that provides you with more viewing options by allowing you to connect to an HD monitor or TV. Powered by N3710 Intel Pentium processor, the Dell Inspiron 2-in-1 Business is quite efficient when it comes to handling different tasks at the same time regardless of their complexity. This makes it a perfect PC for business people, students, and everyday computing. On top of that, it runs on Windows 10 Home operating system so you can enjoy faster start-ups. You know what else? The machine is equipped with an 11.6-inch HD touchscreen featuring LED backlit and a resolution of 1366×768 pixels to ensure crisp and sharp images. The display also boasts a responsive touch mechanism to give you the best typing experience especially while using it in tablet mode. Additionally, it incorporates Intel HD Graphics coupled with a dedicated graphics memory. As such, you can also use the PC for video and photo editing. But wait there’s more. The machine boasts 4GB of DDR3L memory for fast and efficient multi-tasking speeds. In terms of storage, it packs 500GB of Hard Drive so you won’t have to worry about running out of room for your files any time soon. And with a low weight of only 2.6 pounds and a thin profile of 0.8 inches, it will definitely be a breeze to take the PC anywhere with you. 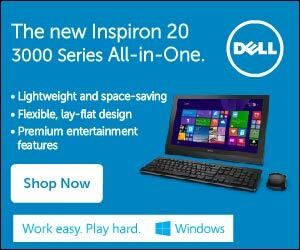 When it comes to ease of transferring data across various devices, the Dell Inspiron 2-in-1 Business does not really disappoint. It is outfitted with an HDMI port, one USB 3.0 port, two USB 2.0 ports and a MicroSD card reader. It also supports 802.11bgn and Bluetooth 4.0. Also included is a headphone and microphone combo jack for an enhanced entertainment experience. Like the Dell Inspiron 2-in-1 Business, this too comes with an 11.6-inch full TouchScreen and a nice resolution of 1366×768 pixels. This means it’s able to deliver clear and sharp graphics images. The screen also has a 10-point multi-touch support to ensure optimal hands-on control. Also included with the display is a corning gorilla glass. This is superb for preventing any damage that may arise from unexpected impact and scratches. Powered by three-cell lithium-ion battery and 45-watt adapter, the PC is capable of providing you with up 10 hours of battery life. This makes it perfect for everyday use. 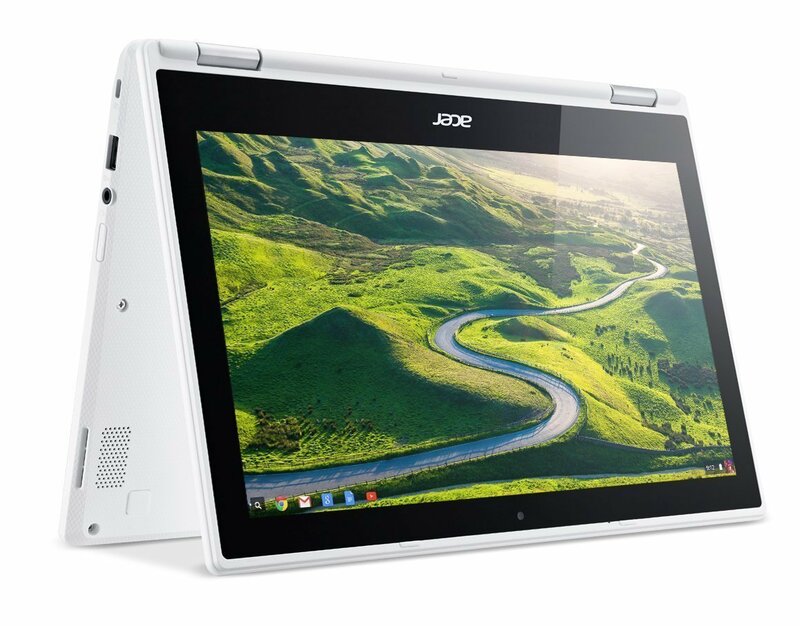 And thanks to its small screen size, thin and lightweight design, the R11 from Acer is also very portable. What’s more? The machine runs on an N3160 processor that has a speed of 1.6GHz but can be boosted up to 2.24GHZ for superior performance. This is coupled with 4GB of RAM to allow you to complete any task as smoothly and efficiently as possible. As far as storage capacity is concerned, the PC employs 32GB of flash storage which is decent enough to accommodate plenty of files. 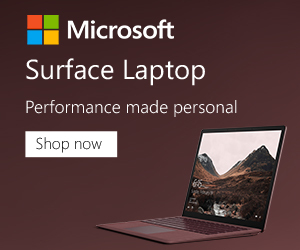 Another important feature that made this device qualify to appear in this list for best 2-in-1 PCs under $500 is the many connectivity options it comes with. First off, it is outfitted with an HDMI port, one USB 2.0 port, and a USB 3.0 port. It also includes a built-in SD card reader for quick photo transfer, Bluetooth 4.0 and 802.11ac Wi-Fi. And that’s not all. The Acer Premium R11 boasts a high-quality graphics card that comes with shared memory to deliver nothing but high-quality images. Combining the performance of a desktop with the portability of a laptop, you can choose to use the machine in tablet, stand and tent mode. This is all thanks to its reliable and durable 360-degree hinge. When it comes to construction, no doubt the computer is built to last as it boasts rugged engineering that is IP52 certified. In fact, dust and even spills are never an issue. The Lenovo 500e 2-in-1 utilizes an N3060 Intel Celeron processor plus 8GB of DDR3 RAM to ensure programs run smoothly as well as fast start-ups. In addition to this, it features 128GB of SSD storage to boost its overall performance. Powered by one lithium polymer battery, it flaunts up to 8 hours of battery life making it an excellent travel and student computer. Similarly, the Lenovo 500e 2-in-1 includes two HDMI ports, one USB 3.0 port one USB 2.0 port and an SD card reader for ease of transferring data. A headphone/microphone jack also comes in handy. Also, it is built to be compatible with Bluetooth 4.0 devices and high-speed 802.11ac Wi-Fi. Further, it is equipped with a multi-touch IPS HD touchscreen display that supports 10-finger touch for increased interaction experience. The display also utilizes anti-glare technology to minimize eye strain especially when you have to spend many hours behind the screen. 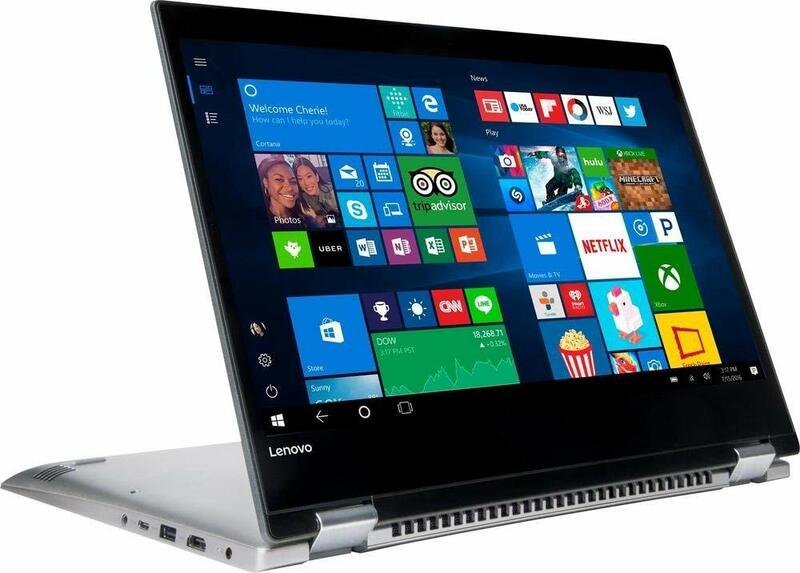 The Lenovo 500e 2-in-1 also incorporates Intel HD Graphics 500 which makes it a viable option for video editors. Here is yet another great 2-in-1 laptop from Dell that packs tons of great features especially for those on a tight budget. It is powered by a powerful N3710 Intel Pentium processor with a base frequency of 1.6GHz for a reliable performance. Complementing the processor is a 4GB of DDR3L memory that provides incredible multi-tasking power. In addition to this, it boasts 128GB of SSD storage capacity that delivers fast and smooth computing experience. Guess what else? The Dell Inspiron 3000 is fitted with various ports including a USB 2.0 port and USB 3.0 port that allows you to transfer data up to 10x faster than other ports. Also included is an HDMI port so you can connect the PC to other external devices like a monitor and view content in stunning quality. Additionally, the PC is fitted with a Micro SD card reader to help you quickly transfer files by simply plugging in your camera’s SD media card. 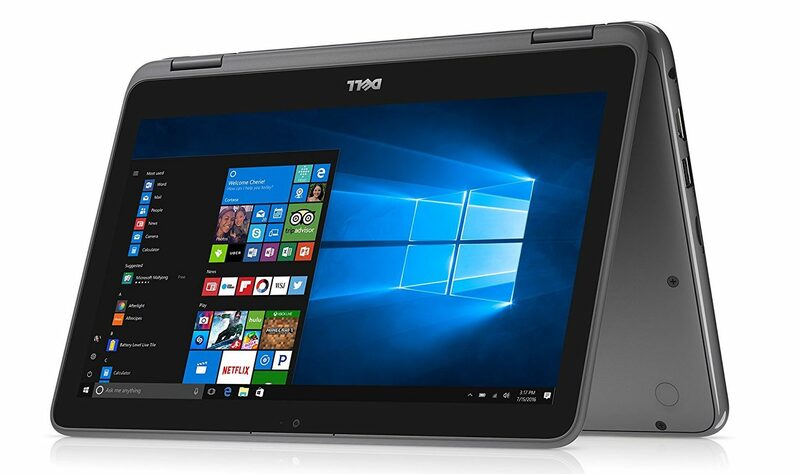 Moving on, the Dell Inspiron 3000 incorporates a diagonal HD touch display featuring a resolution of 1366×768 and LED-backlit. As such, you will be able to play games and watch movies in stunning clarity. On top of that, it employs Waves MaxxAudio Pro technology designed to ensure accurate voice recognition clearer Web chats by minimizing background noise. As if that’s not enough, it boasts a two-cell 32 WHr battery that provides up to 7hours and 42 minutes of battery life. To top it all up, the PC runs on Windows 10 Home that is easy to use. Last but not least, it supports Bluetooth 4.0 and 802.bgn Wi-Fi that gives you steady connections and fast speeds. 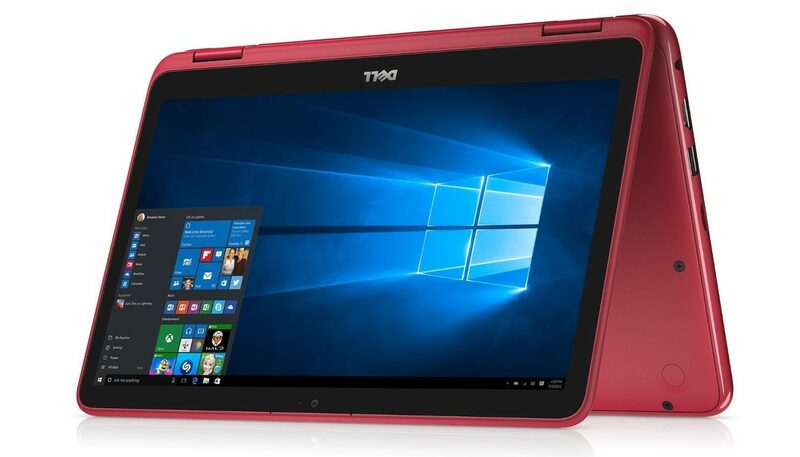 The above 2-in-1 laptops under $500 offer a perfect balance between price, performance, power, and capabilities. However, the answer to the question which one is really the best one depends entirely on your personal requirement and preferences. But of course, there is something for everyone regardless of your budget.